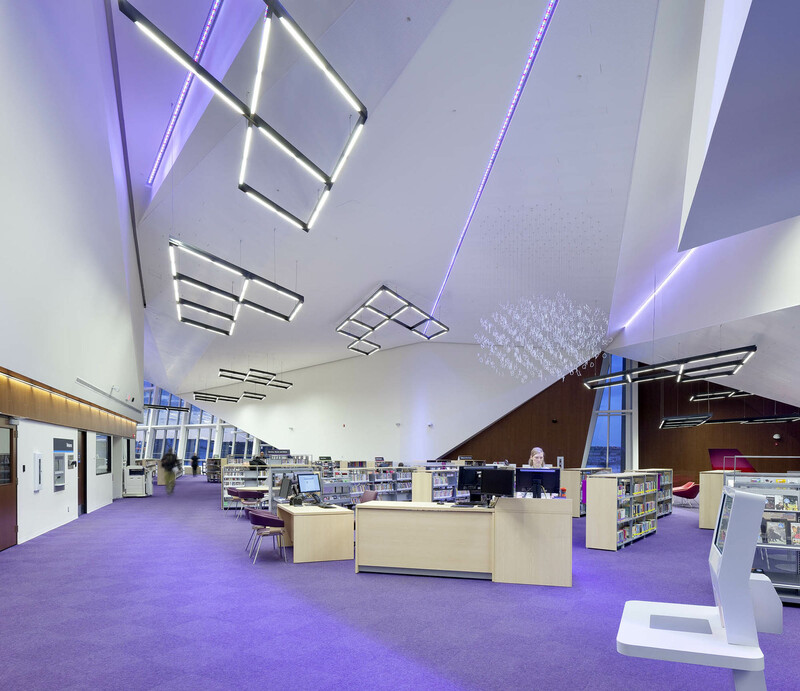 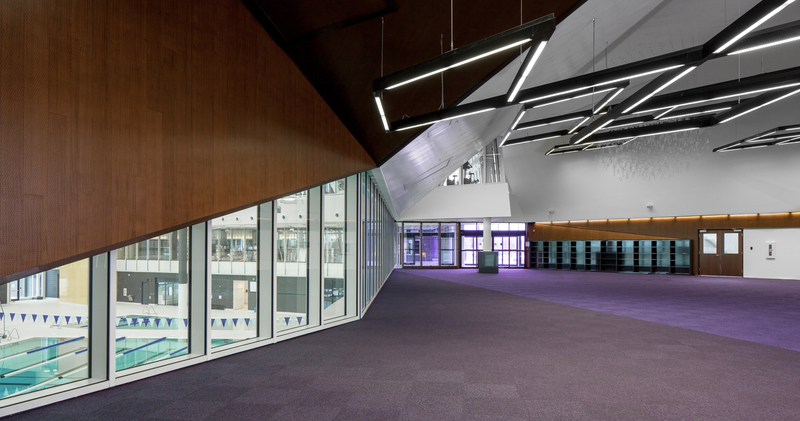 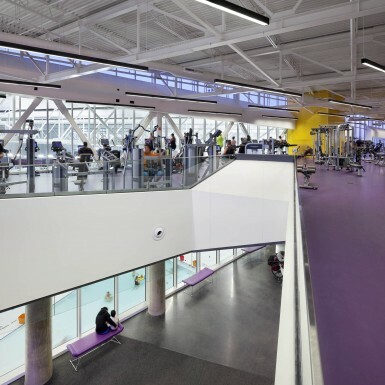 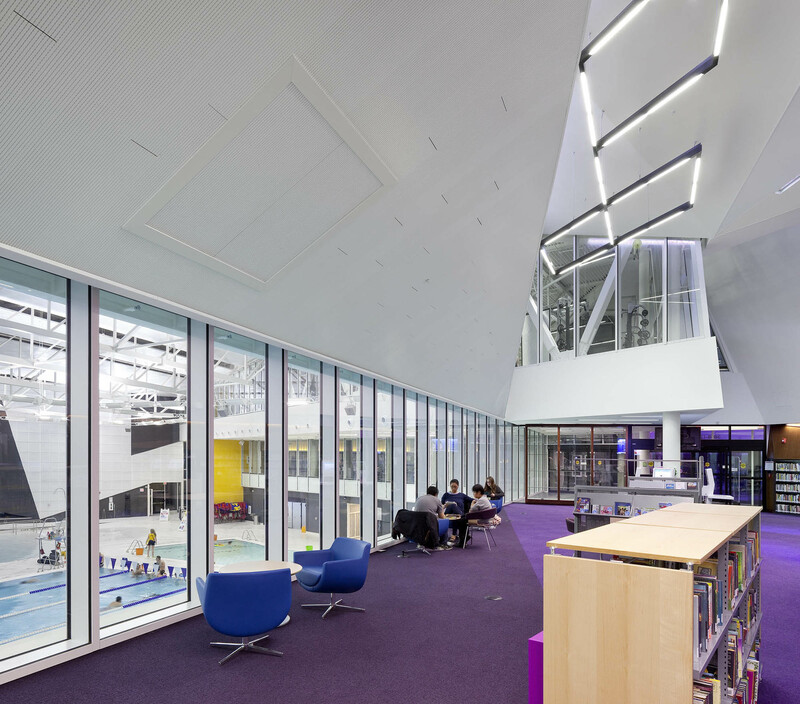 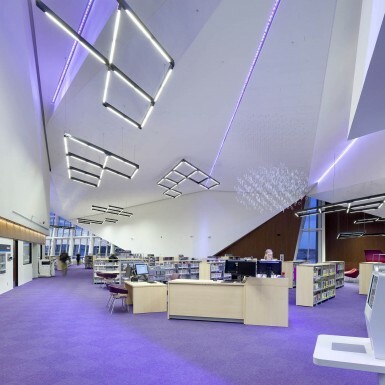 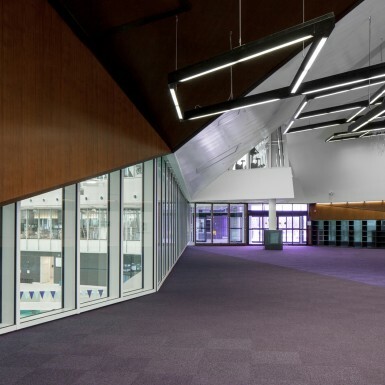 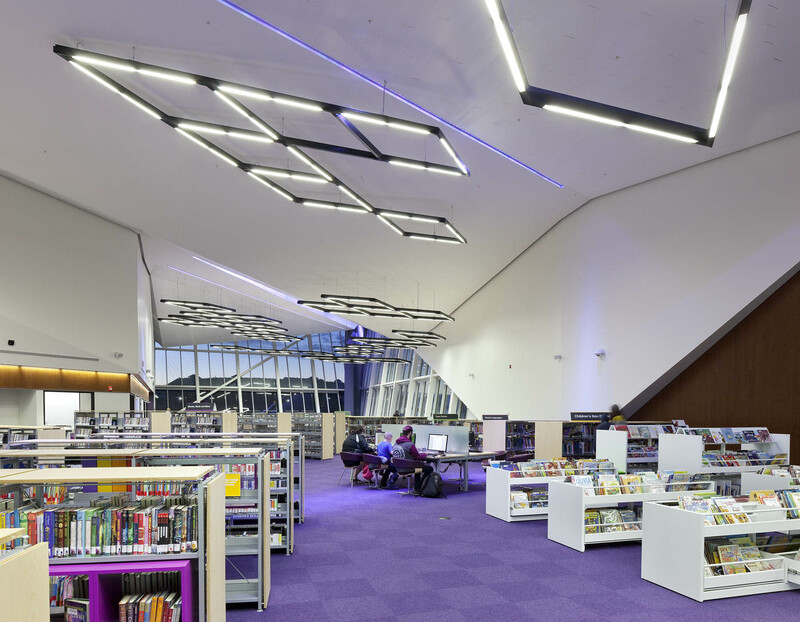 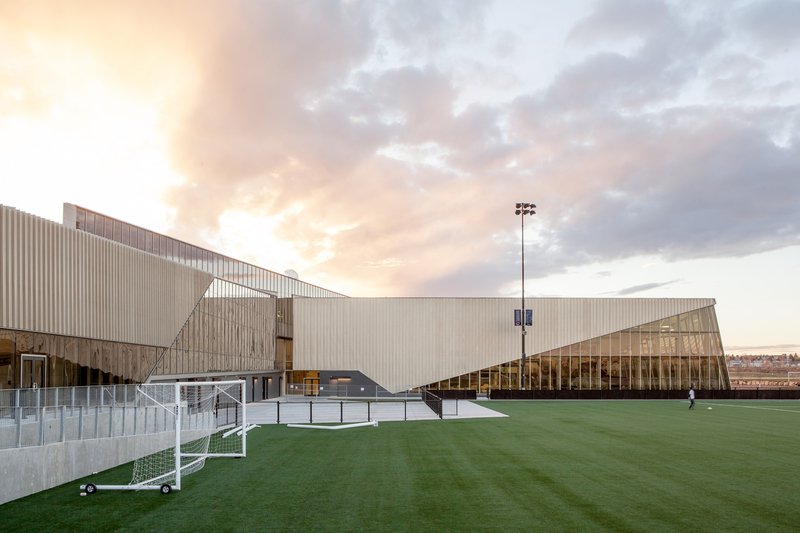 Central to the City of Edmonton’s new masterplan for the area, the Clareview Community Recreation Centre and Branch Library integrates numerous organizations under one roof. 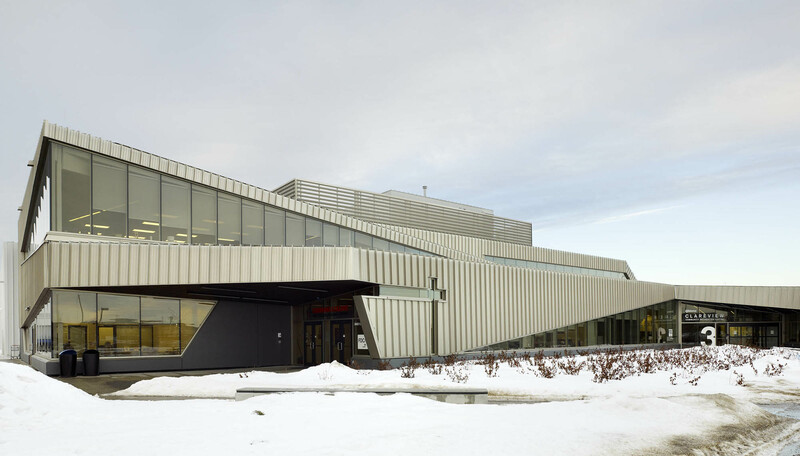 A branch library, recreation centre, indoor track, natatorium, fitness centre, childcare centre, multi-cultural centre, upgrades to the adjacent Clareview Twin Arenas and the Edmonton Catholic High School Completion Centre provide something for everyone. 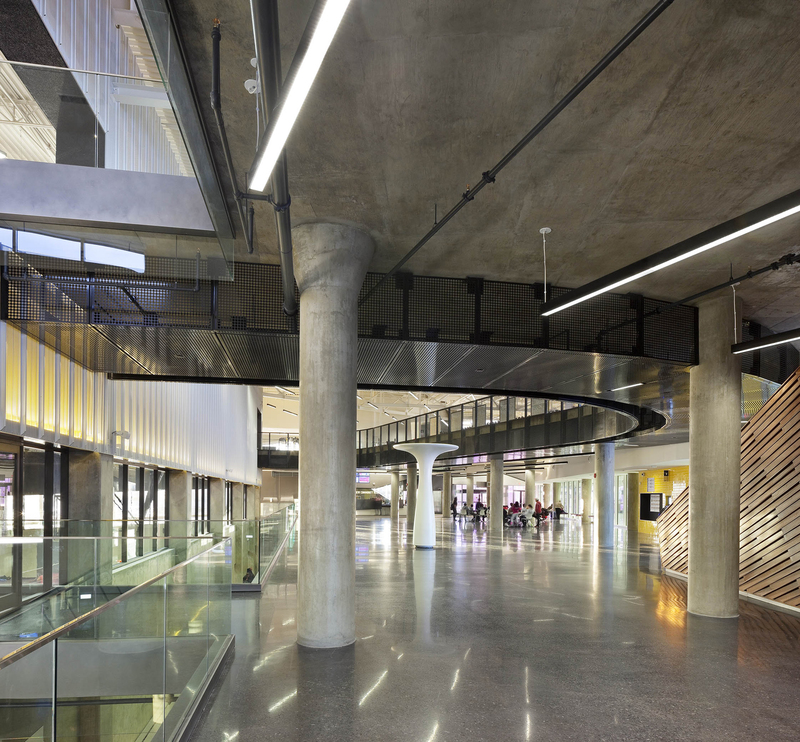 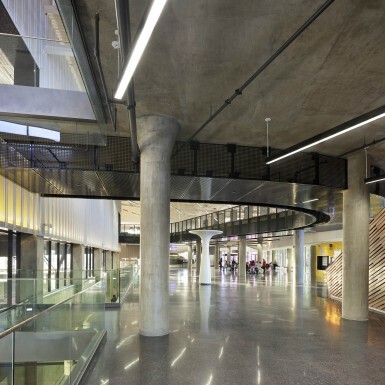 The design considers the intersection of these many programs as paramount to the users’ experience of community—visual connections created between programs creates a dynamic environment, full of people, sights, sounds and activities. 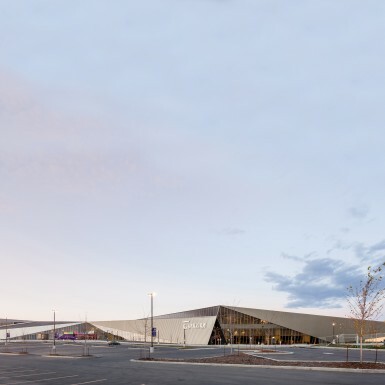 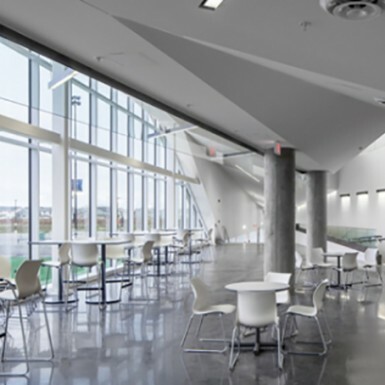 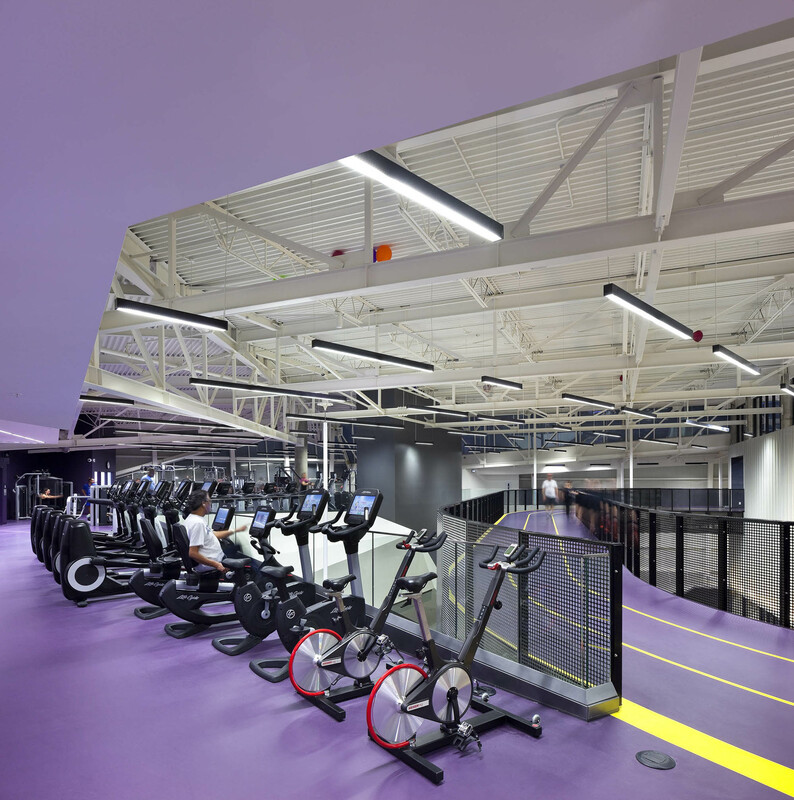 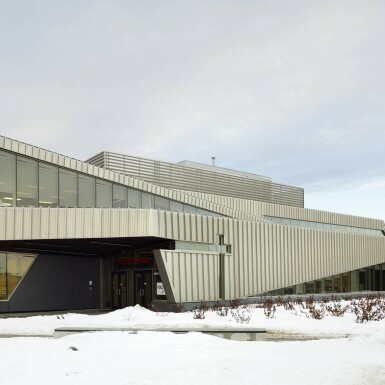 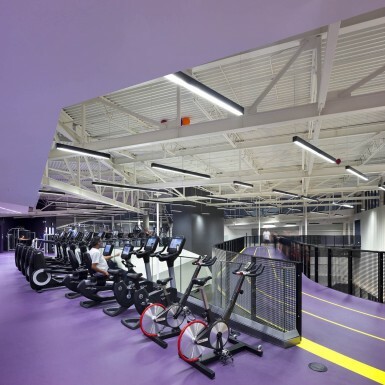 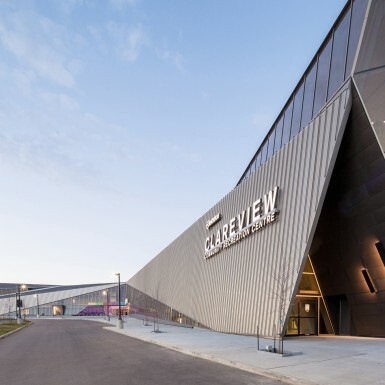 The new facility addresses several urban conditions, including the creation of safe connections between the developing Clareview neighbourhood and a nearby LRT public transit line and school. 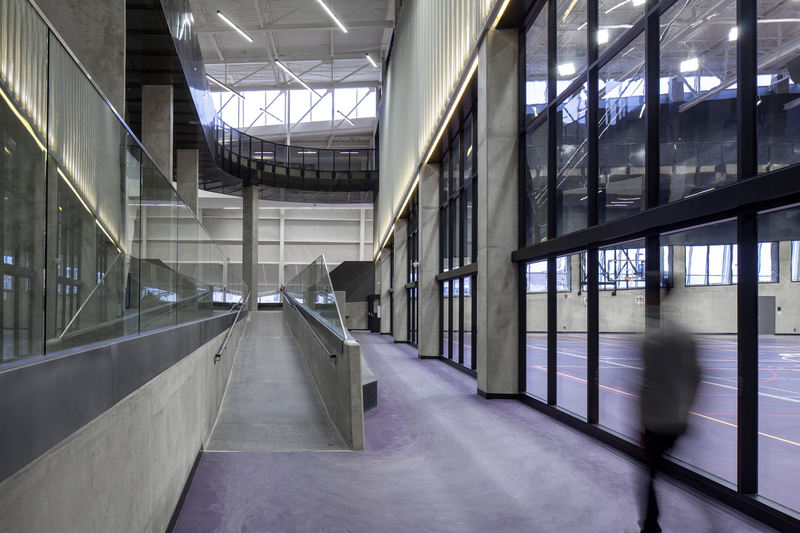 The transparency of the main facade allows the interior activities of the building to be visually inviting to passers-by while simultaneously animating exterior spaces with the energy of the building. 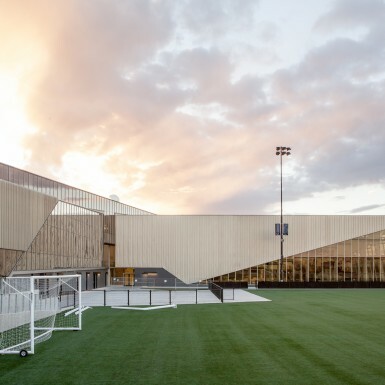 Working to bring an integrated and sustainable urban quality to the site, the design ensures that the building works in harmony with its surrounding urban context and green spaces. 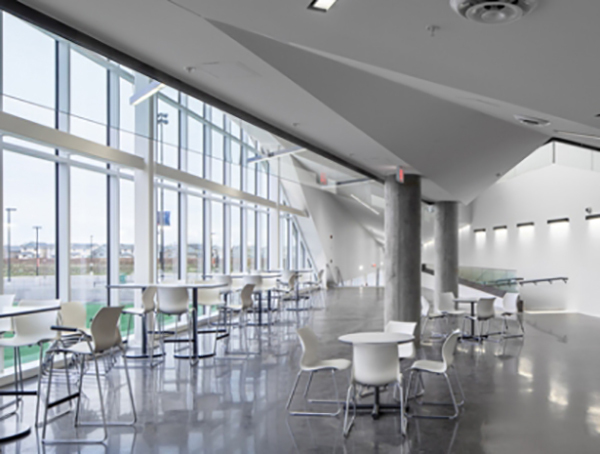 Careful attention to HVAC and rigorous environmental controls ensure the project will achieve a minimum LEED Silver certification. 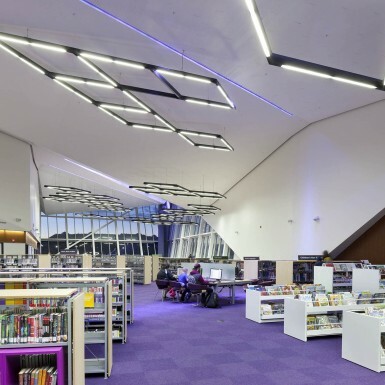 The City of Edmonton, Edmonton Public Library, and Edmonton Catholic Schools collaborated to combine a broad range of services under one roof; creating gathering spaces for residents to enrich their minds, bodies, and spirits while connecting community. 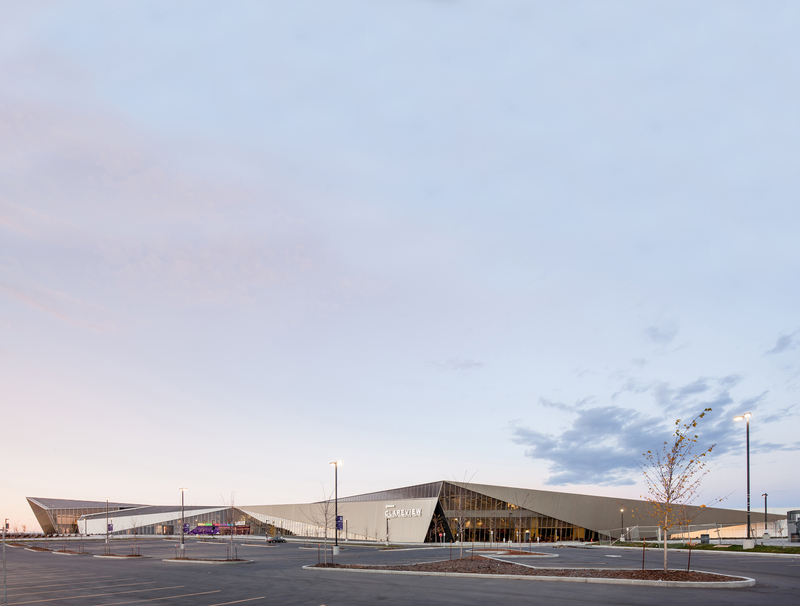 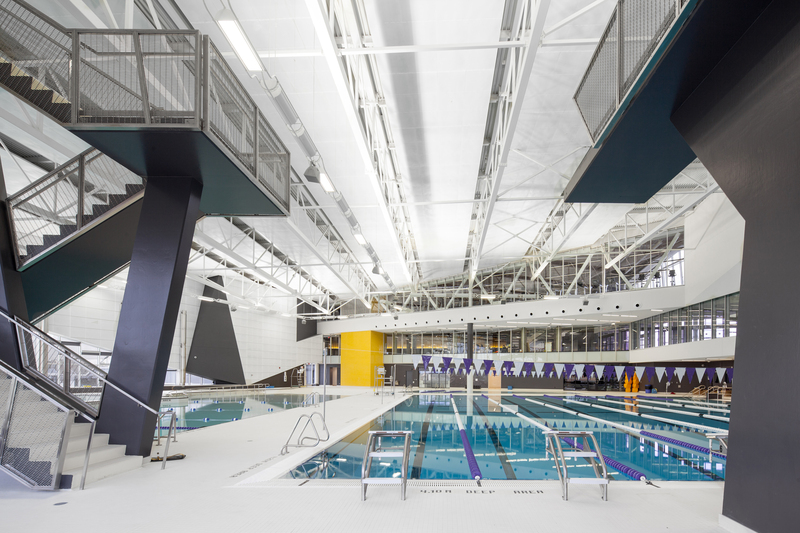 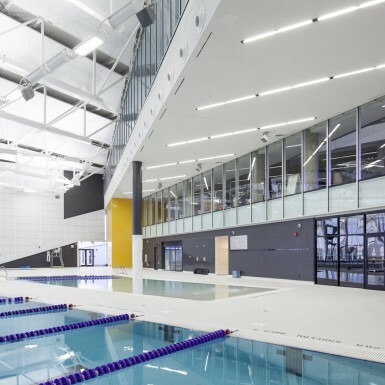 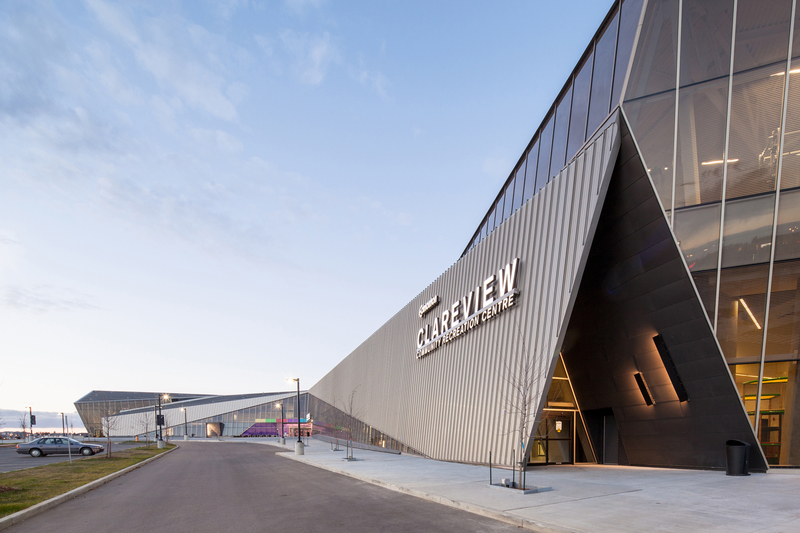 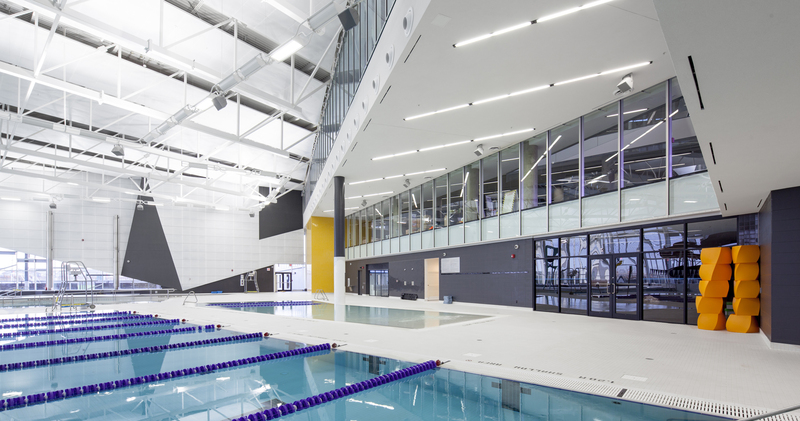 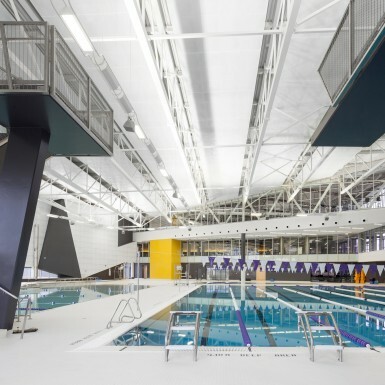 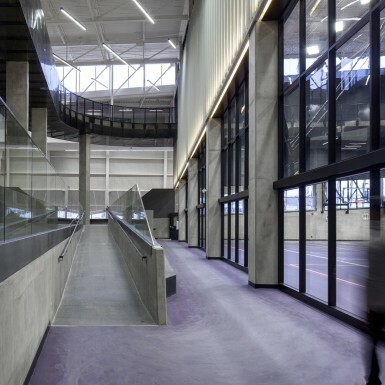 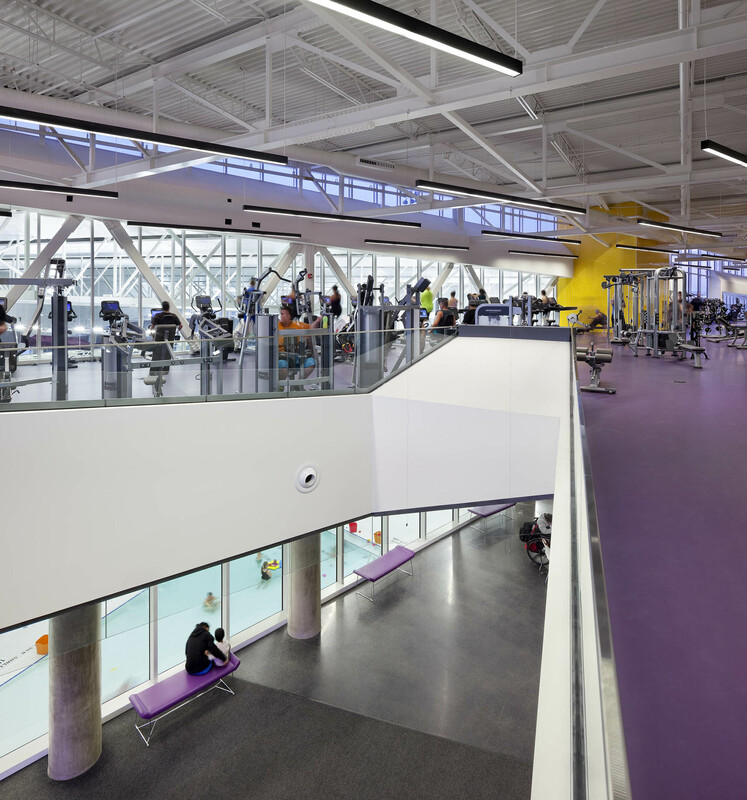 The Clareview Community Recreation Centre is an exemplar of architecture enacted to serve and inspire the greater public good.